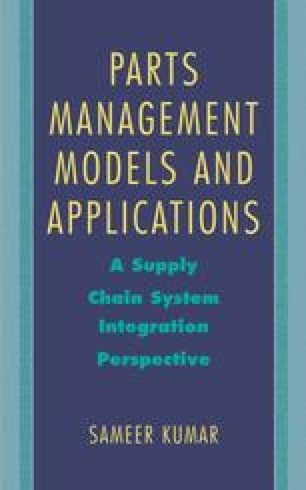 This chapter consists of three major sections; each has a focus on different aspect of inventory performance management system. The first studies the quantitative effects of inventory miscount and non-incorporation of lead time variability on customer service level and on the inventory holding cost in a parts management system. An inventory miscount for an item implies a discrepancy between its actual physical inventory count and its quantity as per computer records. The second section focuses on schemes to reduce inventory miscounts from the operational management point of view. The third section illustrates how EDI networks lower both ordering costs and lead times and consequently result in smaller lot sizes and smaller safety stocks.